The all-new family of ClearChart® Digital Acuity Systems from Reichert® are all-in-one, elegant, simple-to-use, and uniquely designed to meet all of your acuity testing needs with a wide selection of optotypes and other special test charts. The ClearChart 4X Enhanced Digital Acuity System features a new 24 inch, high resolution, LED backlit display, is lightweight, cool running, and long-lasting. The intuitive user interface, whether controlled from the easy-to-use infrared remote or via the Phoroptor® VRx Digital Refraction System, provides the best user experience of any digital acuity chart. The ClearChart 4X has additional features such as ETDRS testing, patient education images, and ability to import images and video. 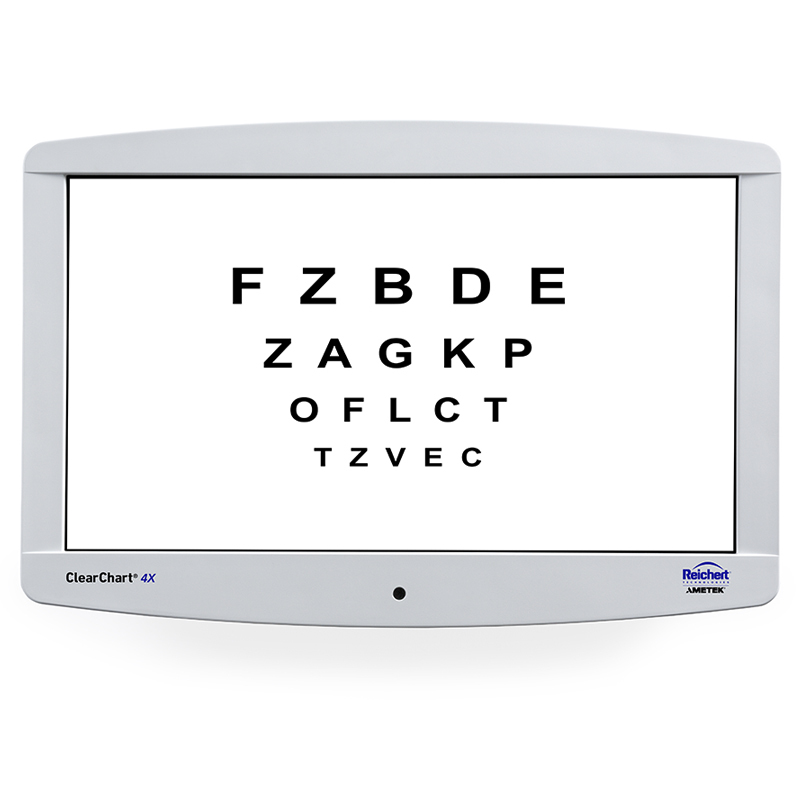 Also available: ClearChart® 4P Polarized Digital Acuity System and ClearChart® 4 Digital Acuity System.